When Nigerian afro beat comes to mind, the name that typically comes to mind is Fela Kuti. But for true enthusiasts of the genre, composer and band leader Orlando Julius is held in the same regard as his more famous colleague. By the mid-60s, Julius had already established himself as a bona fide star in Nigeria, becoming highly popular for his ability to marry traditional African rhythms with the bold arrangements and highly melodic sounds of American pop, soul, funk and R&B. 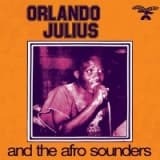 Orlando Julius and the Afro Sounders, recorded between 1970 and 1973 in Ginger Bakers studio in Lagos, represents Julius working as a composer and producer with more creative freedom than his earlier recordings, recording 24 tracks with a close-knit group of musicians. The result is an album that stands as a testament to Julius genius, and one that sounds just as good as the day it was recorded. On this album, the audio is remastered from the original analog tapes! Orlando Julius and the Afro Sounders, recorded between 1970 and 1973 in Ginger Bakers studio in Lagos, represents Julius working as a composer and producer with more creative freedom than his earlier recordings, recording 24 tracks with a close-knit group of musicians. The result is an album that stands as a testament to Julius genius, and one that sounds just as good as the day it was recorded. On this album, the audio is remastered from the original analog tapes! 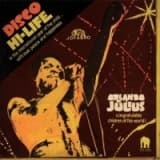 Hot Casa Records reissues Disco Hi-Life, a real treasure album composed and interpreted by Afro-Soul maestro, Orlando Julius. Comes as delux 180 gramms vinyl with tip on jacket & inserts with interviews & photos.